Find your nearest vision therapy specialist in the Las Vegas area. Vision therapy is a doctor-prescribed treatment for common visual disorders that can’t be improved by corrective lenses or surgery alone. 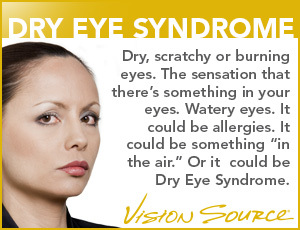 Lazy eye, crossed eyes, double vision, and convergence insufficiency are a few disorders that respond to this therapy. The goal of vision therapy is to improve focus and range of focus, depth perception, and the ability of the eyes to work together. A trained vision therapy specialist will use a combination of techniques and tools to retrain the visual system. It’s a lot like physical therapy for both the eyes and the brain. Vision therapy is not about “strengthening” eye muscles. Vision therapy actually uses specialized tools such as contact lenses, optical filters, eye patches, motor-sensory devices and advanced computer programs to help people correct and treat many common visual problems. Only a trained eye doctor is qualified to prescribe and provide this therapy. Treatment sessions are typically once or twice weekly, for about 30-60 minutes. Your eye care provider should identify both the underlying problem and measurable improvements. Treatment may include special lenses and optic tools, computer technology, or therapeutic devices that challenge sensory-motor skills or perceptions. Sometimes the plan will include “homework,” but the treatments are office-based. Any child experiencing reading or learning disabilities should have a comprehensive eye exam to test for vision problems. In cases where the learning problem is vision related, then vision therapy may be a part of the treatment program.